When disaster strikes, being stocked and ready to face an emergency is the best way to keep your family safe. Your pets can’t fend for themselves and are especially vulnerable if you’re forced to batten down the hatches because of bad weather. 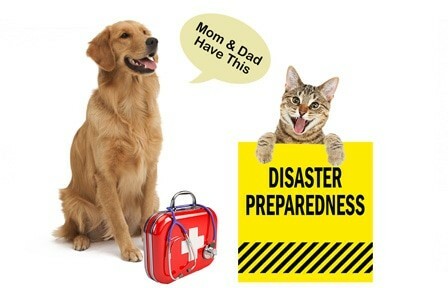 Here are ten items to include in a pet emergency kit so that your entire family can weather a natural disaster safely. Store a one to two week supply of dry and canned food and place it in airtight containers. Buy the smallest cans of canned food because once opened it needs to be stored in a refrigerator or ice chest. 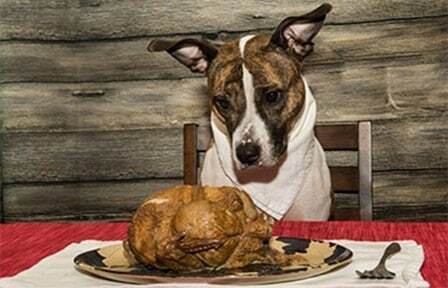 Record the normal feeding amount and times for each animal, including not what to feed in case of food allergies. 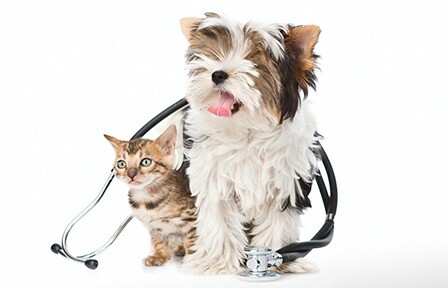 Keep all pets current on vaccines. Again, if your family has to evacuate and relocate to a shelter, note that due to capacity and safety issues, you may have to board your pet. Some animal clinics and boarding facilities will offer shelter to pets, but require your animal have up-to-date vaccinations. 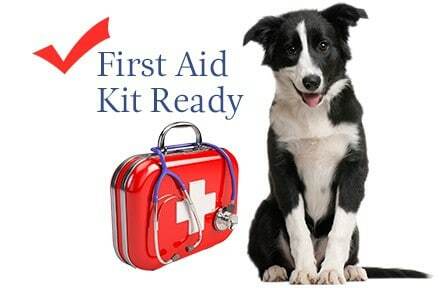 If you need to take your pet to an emergency animal shelter, taking a copy of their vaccination record with you will help ensure they get a spot. Whether faced with an emergency situation or not, if you do become separated from your pets the best way to be reunited with them is to have additional ID tags you can fit them within a hurry. Consider installing a microchip in your pet to help locate them as well. Just don’t forget to keep your contact information up to date! Placing these stickers on all entrance doors to your home will ensure that emergency responders and passerby will be vigilant just in case you were unable to evacuate your pet during an emergency.